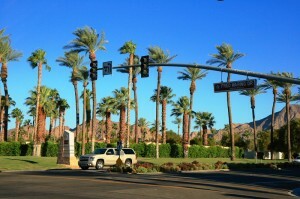 News comes from CNN’s Money section that La Quinta home inventory improving, like other areas of the country. This is expected to continue to improve in 2014. Inventory is already improving. Nationwide, the number of homes for sale in September rose 1.8% vs. a year earlier, according to the National Association of Realtors. That’s the first increase since late 2011. In Los Angeles, Atlanta, and Orlando, inventory was 10% or higher than a year earlier. “It will still be a sellers’ market in 2014, given how far we have before inventory is back to normal,” says Jed Kolko, chief economist at Trulia, noting the supply of homes in September was still about 15% below historical norms. “But it will not be as extreme as 2013,” he says. What does La Quinta home inventory improving mean to you? We can help you make sense of these market changes and answer any other questions you may have. Helping you buy a new home becomes our team’s number one priority. By working together, we are confident we’ll find the best property for the best price. Visit us at our La Quinta Real Estate Website for even more information on how we can help you.